Deer thrive in today’s environment because they are an edge species. This means they do not like large homogenous tracts of land, but land with borders and edge habitats. As the human population has increased and divided land, we have created a more suitable habitat for the white-tailed deer to not only survive, but actually thrive. There are no natural predators to deer in New Jersey in high enough numbers to affect the white-tailed deer population. Humans, motorists, and domestic dogs remain the only real predators. 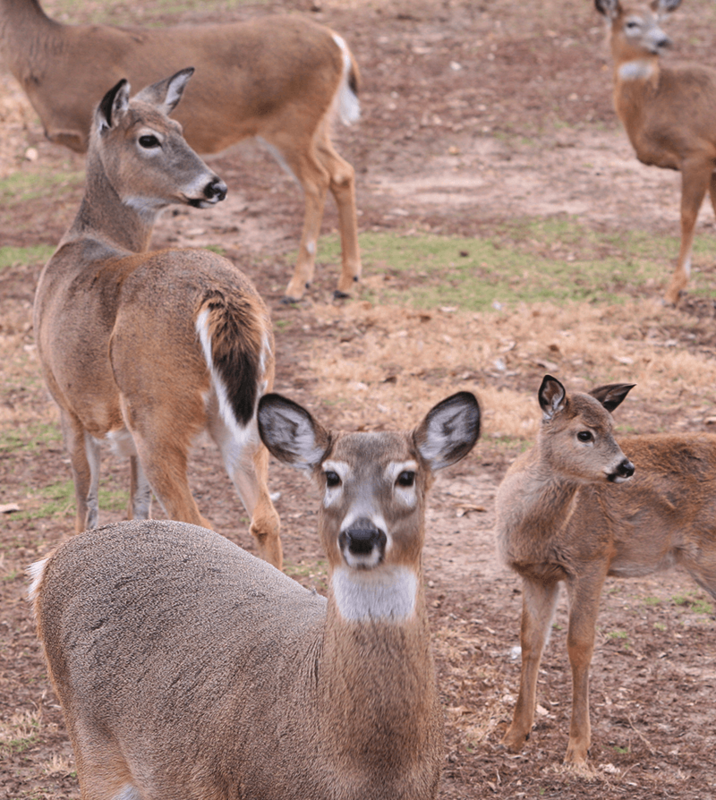 A female deer (doe) can begin reproducing as early as six months of age with proper conditions and nutrition, and although 1-2 young (fawns) per year is common, 3 fawns per year is not unusual for a healthy, mature doe. Although numbers vary, reports have estimated that there are over 125,000 white-tailed deer in New Jersey, compared to one hundred years ago when there was practically no deer at all. The deer population explosion causes many problems including damaged landscapes, major motor vehicle accidents and an ecological imbalance. What are some favorite plants and shrubs of deer in NJ?